A rigorous comprehensive certification for EHR systems that enable providers to meet all meaningful use objectives. This program addresses the needs of providers and hospitals who want maximal assurance of EHR capabilities and compliance. The CCHIT Certified® 2011 program inspects products against comprehensive functionality, interoperability, and privacy and security criteria using the Commission's published methods. Products must be fully compliant. They must also meet or exceed applicable proposed Federal standards for certified EHR technology to support the 2011-2012 incentives under the American Recovery and Reinvestment Act of 2009 (ARRA). As part of the inspection, key aspects of successful use are verified at live sites, and product usability is rated. This is a limited but modular certification program for applications that address one or more of the meaningful use objectives. Products must meet minimum Federal standards requirements. This program allows providers and hospitals to combine technologies from multiple certified sources. Preliminary ARRA 2011 certified technology is only inspected to meet applicable proposed Federal standards for certified EHR technology to support the 2011-2012 incentives under the American Recovery and Reinvestment Act of 2009 (ARRA). A new labeling system describes to buyers which meaningful use objectives are supported by the technology. The ARRA certification component of both programs is considered Preliminary because the definitions of meaningful use, criteria, and standards have been proposed but not yet finalized by the US Department of Health and Human Services (HHS). A simplified, low cost certification for sites or organizations. Technology must meet minimum Federal standards requirements. This program allows providers and hospitals who develop or assemble EHR technologies themselves to qualify for ARRA incentives, offering an open door to encourage continued innovation. RevenueXL can help unravel the mystery and guide you towards making a rational and wise decision on which EHR to implement. Our services are free. 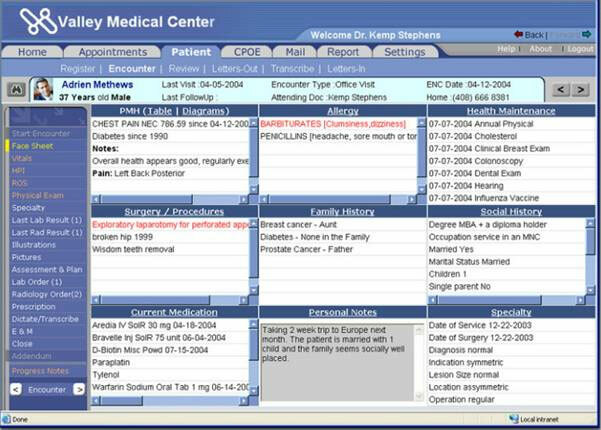 So why not contact us today for a FREE DEMO of an EMR for your specific specialty by simply completing our FREE Demonstration Form.